This was a very best Google Doodle shown on 9th June 2011. This is first time for anybody can play! It's enjoyable! 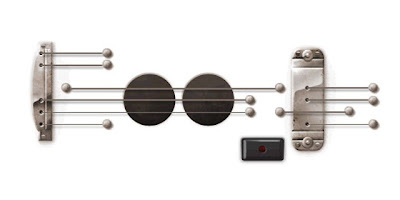 fun~ Why Google are doing new Doodle Guitar? Because Google is celebrating the birthday of Les Paul, and has put up a playable and recordable guitar on Google.com. You can play it virtually and record a song! You try to hover your mouse over the strings, you will hear sound, and also play notes using your keyboard. Cool!